My name is Julie Creffield and I am a Runner. I’m not your typical runner though because I am FAT but hey lets not get hung up on labels right now because as you go through this site you will realise that the idea of there being just one type of runner is ludicrous – If you run…you are a runner SIMPLE! It is quite integral to my story though as in 2003 weighing almost 20 stone a work colleague convinced me to take part in a 3k fun run and with absolutely no training I almost died on the way round, and not only due to the unusual strain on my body, but also from pure embarrassment when a young boy shouted “Run Fatty Run” as I passed him. I was in my early twenties and unable to run for more than 30 seconds at a time. That shocked me into taking action and regaining control over my life. The following day I signed up for the London Triathlon, which I completed just 3 month later in a XL wetsuit that just about fitted my size 18 body. I did nothing more than dabble in sport for those first 6 years making very little progress in terms of weightloss or general fitness as I would simply compete in races, but never do any real training. My inconsistent diet and partying lifestyle didn’t help much either. Running has taught me so much about the capabilities of my body and the strength and weaknesses of my mind, but there are so many barriers for FAT women wanting to enjoy this sport and this is something that must change. Obesity is a huge concern around the world, but inactivity is the big killer of our time. 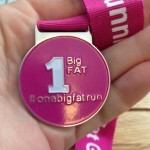 Many people simply think that running is something that FAT women can’t or shouldn’t do at all, including some medical professionals and I am on a mission to prove otherwise. As long as you learn to listen to your body and build up slowly there is no reason that anybody of any size shouldn’t enjoy the sport of running. I typically post three to four times a week, but this is dependant on whether I have been out for run or not…NO Running = NO BLOGGING, so you can see how this blog motivates me to get off my backside and keep moving. If you have been inspired by my story and would like to start running too I offer online coaching programmes such as 5 weeks to 5k (as seen on ITV’s This Morning) and coordinate The Clubhouse my online running club that costs just £79 for the year. I also deliver talks and workshops for health organisations and businesses, so why not suggest to your employer that I come and give a talk at your next AGM or health event. 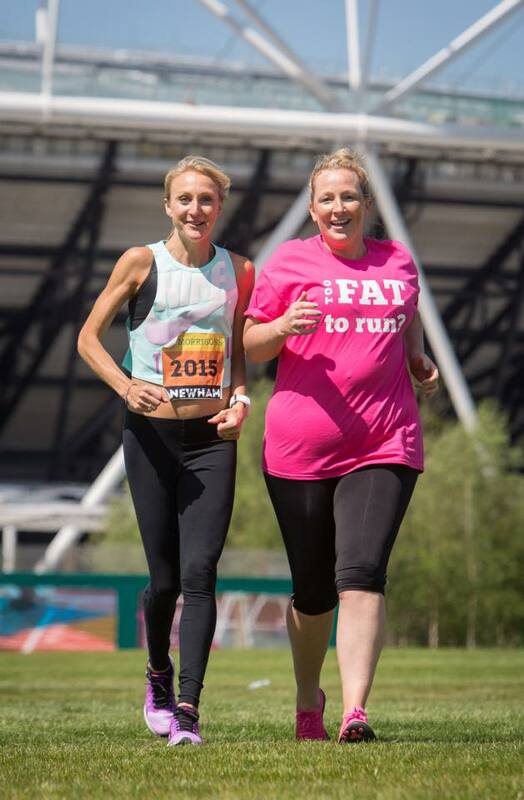 If you want to support the Too Fat to Run campaign why not buy one of my books or check out the merchandise or coaching programmes in our shop. 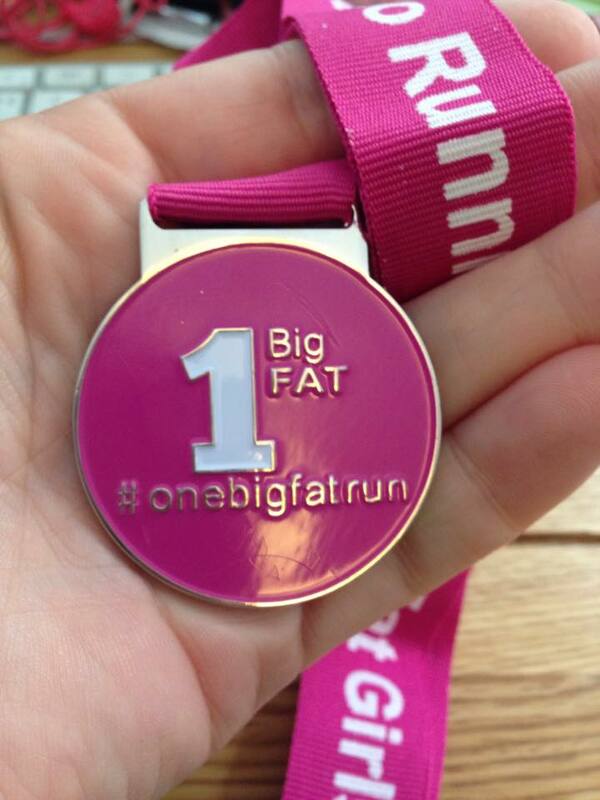 To make sure you don’t miss my newest posts, you can subscribe via RSS or e-mail I also do a round up email each Month to coincide with OneBigFatRun our FREE Virtual 5K….you can even buy yourself one of our bespoke medals for your efforts now. I did not come into sport in the traditional way, so therefore have not followed a coaching pathway or taken any Personal Training qualifications. Last year I became a Run England Run Leader enabling me to lead runs with groups. I have also been on a number of other useful short courses over the years such as Coaching Disabled People in Sport, How to Motivate and Inspire and First Aid. I have a BA honours in Performing Arts and a MA in Multimedia, as my career started out working wth young people to inspire them through the arts, namely dance however my path changed when the 2012 Games headed to London and my work shifted focus and became more about inspiring others to take up healthier lifestyles, leisure and sport. 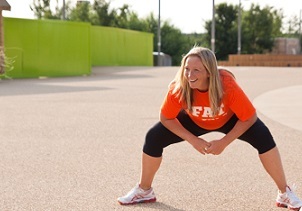 I have worked for over 10 years for various organisations, including government on sports and cultural policy, and as a consultant delivering everything from multimillion pound sports participation programmes across East London to estate based community led dance projects. I do not profess to be a Personal Trainer or a Qualified running coach, but I do know a lot about being a plus sized runner having been one for close to 10 years now. I guess I see myself more as a motivator or lifestyle coach however I am keen to explore professional development opportunities in fitness, health and nutrition to assist my work…although I have no desire to be an actual Personal Trainer.